The next portable installment of Capcom's survival-horror action series looks like it'll be hitting Europe first, along with the dock that's bringing additional control inputs to the Nintendo 3DS. Eurogamer—among other sites—reports that Nintendo will be offering a bundle that binds Resident Evil Revelations and the Circle Pad Pro starting on January 27th. The Circle Pad Pro adds a second analog circle pad and more shoulder buttons to Nintendo's stereoscopic handheld. 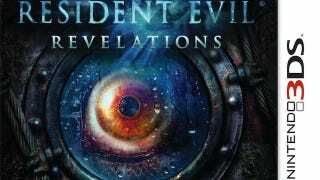 The accessory's already out in Japan but Capcom's previously pegged the American launch date of Revelations for February 2012. There's been no specific time frame given for when Americans will be able to buy the Circle Pad Pro but Nintendo's previously said it'll be available for use when Revelations comes out. What remains to be seen is if the CPP will make the 3DS more competitive when PlayStation Vita also hits in February.